Will Bugoy make it the first? Google has again updated their system. Some bloggers were given page rank but some did lost there page ranks. As for me, my new blog gain a PR1 from N/A and my other blog which has a PR2 now had a PR3 but this blog has a free domain. My oldest blog which has a PR2 has a PR0 now and nothing for My Journey blog it remains PR0. Having lost a PR of your own domain is a big slap in my blogging journey. I used to grab many opps per day but it changes when google take away my PR. But blogging has to go on, blogging has its ups and downs too. I guess I just need to accept of loosing my PR’s. I will just wait for another update and wish that google will give back my lost PR. Whoot, Its Friday once again and I can say that this week is not really good for me.My lalabs is in vacation and I’m missing him so much. Chatting is quite hard for us especially that we are used to chat three times a day. Now, out longest chat is 30 minutes and it was yesterday hopefully we can chat longer later today. I still need to wait until Tuesday, he will be backing home then and its back to normal I believe. Everybody is getting sick, at first it was me who got sick. I have a bad cough, headache, colds and feverish. And few more days my son is got sick and I believe he got the virus from me. I pity my son because he lost some weight he barely asks for his milk and he always vomit whenever he ate. Thanks God he is getting better now although his appetite is not back yet. My mother is complaining about her head and she is discharging yellow stuff for a week now. I will bring her to specialist next week for check up. Hopefully all is well Paid review is too slow this week, I hope everything will get back soon as I need some extra bucks this time. How about you? How’s your week so far? Before I give birth to my son I was a skinny girl I remember I was eating too much because I want to get more fats but to no avail. So I thought my metabolism works so fast or maybe I am always tired and stressed that time. Anyway after a year of giving birth I noticed that my weight is slowly increasing and I did not mind it as I want to have some fats and now I gained more than 10 kilos. And honestly I not want what I am seeing in the mirror so I am thinking to take a diet pill since I am a lazy type of person but problem is I am afraid I might buy low quality of diet pill. So I browse in the internet as there are hundreds of sites that provides diet pill reviews and viola I came across this website called dietpillsdietpills.com. Yay, i am getting excited for tonight. I will for sure watch the PDA season 2 final/grand gala on Saturday. Though I was not able to follow the show every night i make it to the point to watch the gala performance. I am not a good singer, will in fact I can't sing. lol.. but I like Bugoy. He is not a typical guy who join reality show. I mean when it comes to looks he really don't have that but with his voice, boy.. i can't say anything i just love it. 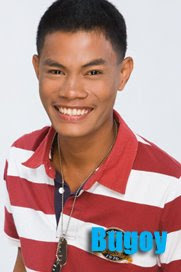 lol I remember what Derik Joey says, malaki ang dapat ayusin sa hitsurA ni Bugoy in fact he needs a major make over. lol.. but heck i still love this guy, he is my first choice to win the price. Jay Bogayan - "The Farmer’s Son". A 17 years old from Camarines Sur. Bugoy enhance his singing everyday while doing his chores inside the school canteen. This guy also quoted that he likes to sing with the carabaos and grasses while doing his farm works. Yay, I should be posting this post the other day pa but I was hit by the laziness syndrome my brain is stuck that I can not think of a good topic. silly me huh? However I am always sitting in front of my pc doing the ec round. I can say that I am hooked with this entrecard thingy. I haven't reach the 300 minimum drop of the day on any of my 3 blogs that is listed in entrecard I hope i will later today. Upps.. before I forget, I am sure some of my blogger friend and visitors would love my new layout. No doubt cos I fall in love with it when i first saw it. And I will give the credit to Tchel although I choice the kit that is used in header still I salute this girl. How I wish I can do like this in the future. Huh, i am not loosing hope boy cos I know someday I well. hahahaha.. If anyone here would like to have a customized layout you can contact Tchel by clicking the link above. Happy weekend to every one!!!!! Yay, I not know what is wrong with entre card i have been trying to access my entre card account but i can not log in. I already contacted entre card with this matter and i hope i will have a solution with this problem. Did anyone here encounter the same problem? I will appreciate any comments here. To all my entre card dropper i am sorry if i can't visit your site today i promise to make it up as soon as i can access my account. Vacation is what I am dreaming of and I am for sure lot of people wants to have a vacation. Though I know I need to work hard in blogging to save bunch of money to spend for a luxurious vacation with my son. Anyway if you are one of those who are planning to take a vacation there is a place that is worth visiting. In fact this place is also ideal for travelers who have a tight budget because this site offers discount vacation packages that you can select. In fact this place is not only ideal for travelers but also to those who are planning to take their vow or planning to renew their vow. So if you know someone that is looking for a destination weddings it is a must to check SuperClubs.com. 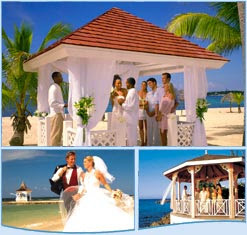 You will be amaze of their honeymoon all inclusive resort offer. Keen to know more about the resort I am talking about? Then visit any of the link I’ve provided. Woot.... finally i will have a new layout for this blog. I asked someone to make it for me for a reasonable price. I now excited to see to the screen shoot of the layout, hopefully i will in 3-4 days from now. I have been thinking to change this old layout by my self but i dont have the right software to make for the header. woott... this blog has again reach the minimum task for the day at triple p. It's been a month since i able to grab the minimum task and i am happy that i did it today although i only grab small fishes. A $5 with 50 words is not bad and better than nothing. I had reserve one task and i will put it on my other blog. Thanks triple p for this great opportunity.